August Motorcars is proud to offer this incredible Cayman by Porsche,presented in Taupe Metallic over Sand Beige Leather Interior. Beautifully detailed by our expert detail bay upon arrival,this sporty and very well cared for Cayman comes to us with no accidents,and passes our stringent 100 point inspection making it August Certified. As can be expected in any car designed to handle the high speeds of the German Autobahn,safety was a concern for Porsche with the 2012 Cayman lineup. The 2012 Cayman includes six airbags including a front driver and front passenger airbag,and door-mounted side-curtain airbags for added protection. Priced to sell with great finance and lease options available. please contact us toll free 1 (250) 860-0444,or email us at sales@augustmotorcars.com for more information. 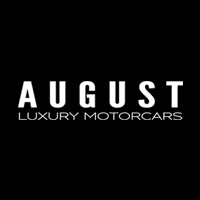 August Luxury Motorcars,redefining experience. August Motorcars is proud to offer this absolutely stunning Panamera GTS by Porsche,presented in a sleek and stylish Matte Black Wrap protecting Porsche Jet Black Paint. The interior is done in Black Leather and Alcantara and is perfectly complimented by Carbon Fiber Interior Trim and Red Contrast Stitching. Expertly detailed by our professional detail bay upon arrival,this very sporty and versatile Panamera GTS comes to us in impeccable condition with no accidents,and passes our stringent 100 point inspection making it August Certified. This amazing Panamera also includes the Stock Rims and a second set of tires! August Motorcars is excited to offer this absolutely stunning 911 Turbo S by Porsche,presented with a Matte Black Wrap protecting classic and stylish Porsche Black with gloss black accents. The interior is optioned in Black Leather Seat Trim with an Alcantara Headliner and perfectly complimented by Race Yellow Seatbelts. Expertly detailed by our professional detail bay upon arrival,this very sporty and highly sought after 911 Turbo S comes to us in impeccable condition from the original owner here in B.C.,with no accidents,incredibly low Km's,paint protection,and passes our stringent 100 point inspection making it August Certified. August Motorcars is excited to offer this absolutely exhilarating 2016 911 GT3 RS by Porsche,presented in a stunning and classic Gulf Navy and Orange Wrap,protecting stylish Porsche White Paint,over Black Leather Seat Trim with Alcantara Center Inserts and perfectly complimented by Lava Orange Stitching and Seatbelts. Expertly detailed by our professional detail bay upon arrival,this very sporty and very well cared for GT3 RS comes to us in impeccable condition with no accidents,low Km's,and passes our stringent 100 point inspection making it August Certified.